Welcome to Holt Construction Services Ltd., your source for EIFS (Exterior Insulation Finishing System). We specialize in EIFS installations and provide services to commercial, industrial, institutional and residential building industry in Toronto and the GTA. Should you consider EIFS as an exterior wall cladding system on your project, contact us today and take advantage of our exterior capabilities. 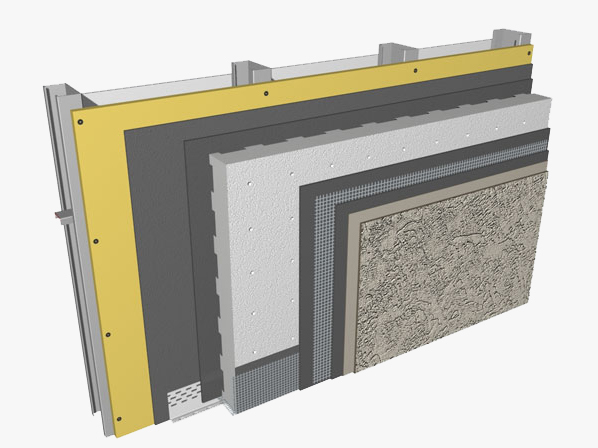 See our full portfolio of EIFS (Exterior Insulation Finishing System) wall cladding systems. Holt Construction Services Ltd is now a participating contractor in GreenON Rebates program, introduced by the government of Ontario. Receive up to $3,800 when you upgrade your home’s exterior wall insulation!